CruzPay is expected to be available as usual for time reporting during the Winter Campus Curtailment. Email help requests made during this time will be responded to promptly on 01/02/2019. Winter Campus Curtailment runs from December 22, 2018 through January 1, 2019. Information has been sent to all CruzPay staff and monthly academic employees and their supervisors regarding the Winter Campus Curtailment and CruzPay. For a copy of the email, click here. Winter Campus Curtailment occurs Saturday, December 22, 2018 through Tuesday, January 1, 2019. The designated University holidays are December 24, 25 and 31, 2018 and January 1, 2019. Payroll processing deadlines occur during the Winter Campus Curtailment, so we encourage employees to complete and submit their timesheet before leaving for the Winter Campus Curtailment. Monthly = pay period ending 12/31/18; Biweekly = pay period 12/16/18 – 12/29/18. You can access CruzPay at http://cruzpay.ucsc.edu. If an employee works on any of the curtailment days, they must have made arrangements in advance with their supervisor. Exempt employees record time in whole day increments and non-exempt employees in 1/4 hour increments. ++ Full-time exempt employees must be on pay status during a week in which a holiday falls to be eligible for holiday pay. Using LNP Curtailment protects sick and vacation accruals, but not holiday eligibility. For more information, please reference the Winter Campus Curtailment FAQ. Employees who are eligible to earn vacation leave, who do not have sufficient accumulated vacation leave will be allowed to use (borrow) vacation leave prior to actual accrual. The Vacation Curtail paycode should be used when borrowing vacation time for December 26, 27 and 28, 2018. Click here to locate your Timekeeper. To keep users informed of these early timesheet deadlines, email reminders will be sent to supervisors and employees. In addition, the UCSC Google Pay Dates Calendar has been updated with the November and December timesheet submittal and approval deadlines. For the next several weeks, Financial Affairs will be actively reaching out to UCSC employees who receive paper paychecks to encourage sign ups for Payroll Direct Deposit, the fastest, easiest, and "greenest" way to receive pay. Students are the largest group of employees who receive paper paychecks; please help us spread the word by talking with your student workers about direct deposit. You can find additional information and instructions on our Payroll Direct Deposit page. Click here for a list of other reasons this message may appear. You have a future start date and are attempting to access CruzPay when you are not an active employee. If you are a new CruzPay user, please wait to access the system until your position begins. You will be notified​ via UCSC email (@ucsc.edu) when your account is ready. If you are a previous CruzPay user, you will become an active employee once your position begins and will be able to access CruzPay at that time. If you have questions about how to record your hours until your position begins, please contact your timekeeper. You are no longer employed by UC Santa Cruz. Once your employment has ended, you will be separated in the UCSC payroll system which locks your CruzPay account. Please contact your timekeeper if you have questions regarding your separation or require assistance with completing your final timesheet. You have been locked out of CruzPay due to reaching the maximum number of failed login attempts. Please make sure that you are logging in via http://cruzpay.ucsc.edu and are not using an old bookmark to access the site. If you are still unable to login, please contact CruzPay Help at cruzpay_help@ucsc.edu. CruzPay security updates are scheduled for Saturday September 15, 2018. These updates will require that users access CruzPay via browsers using Transport Layer Security (TLS) 1.2 or higher. This aligns us with industry best practices for security and data integrity. More information about this change can be found below. CruzPay will be compatible with the following browsers: Internet Explorer 11, Firefox 27+, Google Chrome 38+ and Apple Safari 7+. If you believe you are using an older browser (ex: Internet Explorer 10), ITS Desktop Support can assist with updating your browser or workstation. TLS encrypts browser and web services HTTPS connection to CruzPay, providing privacy and data integrity. It’s the most widely deployed security protocol used today. TLS ensures that your connection to us is the intended endpoint through encryption and endpoint identity verification. The versions of TLS, to date, are TLS 1.0, 1.1, 1.2, and 1.3. The platform for CruzPay is requiring an upgrade to TLS 1.2 or higher starting on September 15, 2018. On that date the TLS 1.0 and 1.1 encryption protocols will be disabled, which will prevent users with older browsers from accessing CruzPay. How will users be impacted? After TLS 1.0 and 1.1 are disabled for CruzPay, any inbound connections to or outbound connections from CruzPay that rely on TLS 1.0 or 1.1 will fail. If you believe you are using an older browser, ITS Desktop Support can assist with updating your browser or workstation. Due to the 4th of July holiday, timesheet approval deadlines for Biweekly employees (Students, Hourly Academics and Staff) have been changed. Supervisor approvals are due by 11:00 AM on 7/02/18. CruzPay will be unavailable starting Sunday, June 10, 12:00 am - 3:00 am PT for scheduled system maintenance. Updates will be posted to this website. We regret any inconvenience this may cause. Please feel free to contact us with any questions at cruzpay_help@ucsc.edu. Want to be able to reset your CruzID Gold password without contacting ITS? By setting your CruzID password recovery email address you will be able to reset your CruzID Blue and Gold passwords yourself. Simply login to the CruzID Manager and select Password Recovery Email. Once there, enter and save a non-UCSC email address to be used with password resets. Further information can be found here.  If you do not set a password recovery email, yo​u will need to contact the ITS Help Desk at help@ucsc.edu or (831) 459-4357 in order to reset your CruzID Gold password. CruzPay will be unavailable starting Sunday, March 4, 12:00 am - 4:00 am for scheduled system maintenance. Updates will be posted to this website. We regret any inconvenience this may cause. CruzPay is expected to be available as usual for time reporting during the Winter Campus Curtailment. Email help requests made during this time will be responded to promptly on 01/02/2018. From the CruzPay Team, here's wishing everyone a happy, restful winter break. Winter Campus Curtailment runs from December 23, 2017 through January 1, 2018. Information has been sent to all CruzPay staff and monthly academic employees and their supervisors regarding the Winter Campus Curtailment and CruzPay. For a copy of the email, click here. For additional information regarding Winter Campus Curtailment 2017-2018, please reference the campus communication sent to all academic and staff employees, and the Winter Campus Curtailment FAQ document. Winter Campus Curtailment occurs Saturday, December 23, 2017 through Monday, January 1, 2018. The designated University holidays are December 25, 26 and 29, 2017 and January 1, 2018. Payroll processing deadlines occur the day we return from closure so we encourage employees to complete and submit their December timesheet before leaving for the Winter Campus Curtailment. You can access CruzPay at http://cruzpay.ucsc.edu. Employees who are eligible to earn vacation leave, who do not have sufficient accumulated vacation leave will be allowed to use (borrow) vacation leave prior to actual accrual. The Vacation Curtail paycode should be used when borrowing vacation time for December 27 and 28, 2017. Due to the upcoming November and December holidays and Winter Campus Curtailment, timesheet submittal and approval due dates for Biweekly employees (Students, Hourly Academics and Staff) have been changed. The due dates have been accelerated to allow for earlier payroll deadlines. Click here for more information regarding the accelerated due dates. CruzPay was successfully upgraded to version 17.2 and is now back online and available for your regular use. Thank you for your patience during this time. The CruzPay system will be upgraded from version 16.1 to version 17.2 next week. CruzPay will be unavailable on Tuesday, October 17th from 5:00am to approximately 3:00pm PDT. CruzPay users will be unable to access the system during this time. We expect CruzPay to be back online by 3:00pm on October 17th. We regret any inconvenience this may cause. For the next several weeks, Financial Affairs will be actively reaching out to UCSC employees who receive paper paychecks to encourage sign ups for Payroll Direct Deposit, the fastest, easiest, and "greenest" way to receive pay. Students are the largest group of employees who receive paper paychecks; please help us spread the word by talking with your student workers about direct deposit. Click here for more information and instructions. Due to the upcoming July 4th holiday, timesheet approval deadlines for Biweekly employees (Students, Hourly Academics and Staff) have been accelerated to allow for earlier payroll deadlines. Click here for more information regarding the accelerated due dates. Timesheet approvals are due on Monday 7/3/17 at 11:00 AM for the period 6/18 – 7/1. Winter Campus Curtailment runs from December 23, 2016 through January 2, 2017. Information has been sent to all CruzPay staff and monthly academic employees and their supervisors regarding the Winter Campus Curtailment and CruzPay. For a copy of the email, click here. Winter Campus Curtailment occurs Friday, December 23, 2016 through Monday, January 2, 2017. The designated University holidays are December 23, 26 and 30, 2016 and January 2, 2017. Payroll processing deadlines occur the day we return from closure so we encourage employees to complete and submit their December timesheet before leaving for the Winter Campus Curtailment. You can access CruzPay at: http://cruzpay.ucsc.edu. ** Vacation Curtail: Employees who are eligible to earn vacation leave, who do not have sufficient accumulated vacation leave will be allowed to use (borrow) vacation leave prior to actual accrual. The Vacation Curtail paycode should be used when borrowing vacation time for December 27, 28, and 29, 2016. Additional information regarding the UCSC Winter Campus Curtailment may be found at: http://shr.ucsc.edu/news-events/news/memo_10-27-16.html. If you have any questions, please contact your SHR or Divisional Timekeeper: https://financial.ucsc.edu/Pages/CruzPay_User_Resources.aspx. The CruzPay system will be upgraded from version 9.7 to version 16.1 this week. There will be an updated look to the system. However, the familiar functions for submitting and approving timesheets remain fundamentally the same and we believe that you will find the presentation changes an improvement to your CruzPay use. To facilitate the upgrade, CruzPay will be unavailable on Thursday, September 1st from 3:00am – 6:00pm. CruzPay users will be unable to access the system during this time. We expect CruzPay to be back online by 6:00pm on September 1st. We regret any inconvenience this may cause. Click here for a comparison of current/new version and links to the updated Quick Start Guides. An upgrade of the CruzPay System (from Version 9.7 to Version 16.1) will occur in September 2016. Updated versions of the CruzPay Quick Start Guides are available at the links below. The look of CruzPay Version 16.1 is different but it is still intuitive and easy to use. The user "Dashboard" is now labeled "Home" and has a more modern look. The submit timesheet button has changed locations. The CruzPay system upgrade has been postponed and will not occur on Thursday, August 18. A new upgrade date will be communicated once it is determined. We regret any inconvenience this may cause. Please feel free to contact us with any questions or concerns at cruzpay_help@ucsc.edu. CruzPay will be unavailable on Thursday, August 18 from 1:00am – 6:00pm due to an application upgrade. CruzPay users will be unable to access the system during this time. We expect CruzPay to be back online by 6:00pm on August 18. We regret any inconvenience this may cause. Winter Campus Curtailment runs from December 24, 2015 through January 1, 2016. Information has been sent to all CruzPay staff and monthly academic employees and their supervisors regarding the Winter Campus Curtailment and CruzPay. For a copy of the email, click here. For additional information regarding the Winter Campus Curtailment 2015-2016, please reference the campus communication (http://shr.ucsc.edu/news-events/news/memo_10-15-15.html) sent to all academic and staff employees, and the Winter Campus Curtailment FAQ document. Winter Campus Curtailment occurs Thursday, December 24, 2015 through Friday, January 1, 2016. The designated University holidays are December 24, 25 and 31, 2015 and January 1, 2016. We encourage employees to complete and submit their December timesheet before leaving for the Winter Campus Curtailment. You can access CruzPay at: http://cruzpay.ucsc.edu. ** Vacation Curtail: Employees who are eligible to earn vacation leave, who do not have sufficient accumulated vacation leave will be allowed to use (borrow) vacation leave prior to actual accrual. The Vacation Curtail paycode should be used when borrowing vacation time for December 28, 29 and 30, 2015. Additional information regarding the UCSC Winter Campus Curtailment may be found at: http://shr.ucsc.edu/news-events/news/memo_10-15-15.html. UCSC Payroll Says: Go Green With Your Green! Signing up for Direct Deposit of your paycheck saves time, hassle, and paper. Your pay can be deposited into either a checking or savings account. Wake up on payday morning with your funds at your debit card fingertips and the satisfaction of paperless pay! Click here for step-by-step instructions on on how to sign up for Direct Deposit. CruzID Gold login is now live! The CruzPay system has been modified to require users to login with their CruzID Gold userid and password. Most users already have a CruzID Gold password and should be able log right in. More information about logging into CruzPay can be found here​. If you need assistance with your CruzID Gold password, the ITS Help Desk will be able to assist you at help@ucsc.edu or (831) 459-4357. Any other questions or concerns about CruzPay can be sent to us at cruzpay_help@ucsc.edu. The CruzPay website has a new look! Welcome to the remodeled CruzPay Launch Page! Click on the Launch CruzPay button (Sammy the Sl​ug should look familiar) to head right into CruzPay. You can also explore the streamlined toolboxes or user resources​. Don’t forget to use your CruzID Gold password! On Monday August 24, the CruzPay system will be modified to require users to login with their CruzID Gold userid and password. Most users already use CruzID Gold to access other campus systems, and you can test out your login here. More information about CruzID Gold passwords is available at this ITS site. CruzPay will be unavailable starting Saturday, August 15 at 9:00 pm through Sunday, August 16 at 5:00 am for scheduled system maintenance. Updates will be posted to this website. We regret any inconvenience this may cause. Later this summer, the CruzPay system will be modified to allow users to login with their CruzID Gold password. Most employees already use CruzID Gold to access other campus systems, such as the Student Portal and eCommons. Using CruzID Gold for CruzPay also will mean one less password to remember! Anyone with a UCSC email account (@ucsc.edu) can obtain a CruzID Gold password. Information about obtaining or resetting your CruzID Gold password is available at this ITS site​. This announcement will be updated, and email will be sent directly to all CruzPay users with the specific date the change will occur. For now, we recommend that you make sure you have and remember your CruzID Gold password. We have confirmed that CruzPay access is restored. All users should now be able to access the system successfully. If you experience any performance issues with CruzPay, please let us know at cruzpay_help@ucsc.edu. Thank you. Users who encountered login difficulties are reporting that they are once again able to access CruzPay. We continue to work with the vendor to determine if the issue is resolved, but advis​e users to try logging in again. If you encounter any issues with your use of CruzPay, please let us know at cruzpay_help@ucsc.edu. Users may be unable to access the system as the connection to CruzPay is currently sporadic. We are in contact with the vendor and will let you know as soon as we have resolution. Please check back for the latest status update. Thank you for your patience. Please feel free to contact us with any questions at cruzpay_help@ucsc.edu. CruzPay was successfully upgraded and is now back online and available for your regular use. Thank you for your patience during this time. CruzPay will be unavailable on Saturday, April 4 from 7:00am – 5:00pm due to an application upgrade. CruzPay users will be unable to access the system during this time. We expect CruzPay to be back online by 5:00pm on April 4. We regret any inconvenience this may cause. CruzPay will be unavailable starting Sunday, February 1, 12:00 am - 4:00 am for scheduled system maintenance. Updates will be posted to this website. We regret any inconvenience this may cause. Due to the upcoming holidays and Winter Campus Curtailment, timesheet due dates for Biweekly employees (Students, Hourly Academics and Staff) have been changed for November and December. The due dates have been accelerated to allow for earlier payroll deadlines. For additional information regarding Winter Curtailment 2014-2015, please reference the campus communication (http://shr.ucsc.edu/news-events/news/memo_11-06-14.html) sent to all academic and staff employees, and the Winter Curtailment FAQ document. Winter Campus Curtailment occurs Wednesday, December 24, 2014 through Thursday, January 1, 2015. The designated University holidays are December 24, 25 and 31, 2014 and January 1, 2015. We encourage employees to complete and submit their December timesheet before leaving for the Winter Campus Curtailment. You can access CruzPay at cruzpay.ucsc.edu. Employees who are eligible to earn vacation leave, who do not have sufficient accumulated vacation leave will be allowed to use (borrow) vacation leave prior to actual accrual. The Vacation Curtail paycode should be used when borrowing vacation time for December 26, 29 and 30, 2014. Additional information regarding the UCSC Winter Campus Curtailment may be found at: http://shr.ucsc.edu/news-events/news/memo_11-06-14.html. If you have any questions, please contact your SHR or Divisional Timekeeper: http://cruzpay.ucsc.edu/timekeeper.html. CruzPay has been successfully upgraded, and is now back online and available for your regular use. If you have any questions about the new version or encounter any discrepancies in your use of CruzPay, please let us know immediately at cruzpay_help@ucsc.edu. Effective January 20, 2013, nonexempt and hourly employees in CruzPay will transition to a biweekly pay cycle. For more information about this transition and campus communication, please click here. Effective January 20, 2013, nonexempt and hourly employees in CruzPay will transition to a biweekly pay cycle. The following information will assist you in understanding the changes in CruzPay. Through mid-February, staff employees will see two timesheets upon login. One will be labeled “SPLIT 2013-01-20” to show that it is the monthly timesheet that should be used to report time through January 19. Submit this timesheet on January 19 or your last working day prior to that date. IMPORTANT: Do not enter any time on your current monthly timesheet for dates after January 19. Any entries (even zeros) for dates past January 19 on your existing timesheet will cause system errors. After January 22, Supervisors will be able to see both monthly (labeled “SPLIT 2013-01-20”) and biweekly timesheets for each staff employee making the transition. Leave accruals for biweekly employees are calculated on a quadriweekly cycle, meaning two biweekly periods. Employees will no longer see vacation and sick leave accruals with every timesheet. Leave balance and current period usage will be displayed as usual, but new accruals will be visible and posted only with the second biweekly timesheet of each quadriweekly cycle. For more information on leave accrual, please visit the Biweekly Pay website​. All CruzPay users will have new assignments beginning with January 2013 due to the biweekly conversion. Timesheets for previous pay periods can be accessed via “Past Assignments”. More information about this can be found in the Employee Toolbox. Physical Plant and Physical Planning & Construction employees will begin using CruzPay for the November 2012 pay period. The eligible population of Physical Plant and Physical Planning & Construction employees should all receive access to CruzPay as of November 14, 2012. Dining Swipe-card employees will begin using CruzPay for the September 2012 pay period. The eligible population of Dining employees should all receive access to CruzPay as of September 17, 2012. CruzPay has been updated for the 2012 Clerical Employee (CX) Paid Time off Program (CX-PTO). As of 05/03/12 Clerical employees will see a CX-PTO bank in their Time off Balances screen as well as a paycode CX-PTO Taken. Applicable PTO hours will be added to the bank for eligible CX employees over the next few days and all functionality will become active on 05/08/12. Please contact us at cruzpay_help@ucsc.edu if you have any additional questions. Academic employees will begin using CruzPay for the January 2012 pay period. The eligible population of academic employees should all receive access to CruzPay as of January 19, 2012. Click here for more information on this implementation. We are in the process of loading accrual balances (sick leave, vacation, postdoc personal time off) and they will be available by the end of January. Academic employees with questions about their use of CruzPay or accrual balances can click here to locate and contact their Academic Division Timekeeper. Academic employees will begin usi​ng CruzPay in winter quarter 2012. All e-mail communication from CruzPay, including User ID and initial password, will be sent to official UCSC (CruzID@ucsc.edu) e-mail addresses only. CruzPay is easy to use and can be accessed from any Windows or Mac workstation, either on- or off-campus. Employees enter time and/or leave directly into the system via a web browser. At the end of the pay period, employees submit their timesheet on-line. CruzPay automatically displays the timesheet to their supervisor for approval. Supervisors review their employees’ timesheets on-line, and indicate their approval (or rejection) through the system as well. Employees and supervisors will continue to be supported by their current divisional academic personnel representative or SHR Service Team for time and attendance policies and procedures. All hourly employees will enter time in terms of hours, rounded to the nearest quarter-hour. As exempt employees, academics using CruzPay will record absences from work in whole day increments. Employees enter in terms of hours (e.g. sick time taken: “8” [hours]), with the exception of postdoctoral scholars, who will enter daily increments (e.g. sick time taken: “1” [day]). It is possible for an hourly-rated employee to have multiple jobs, where not all of the jobs are set up in CruzPay. The existing time reporting process in place should continue to be used for any jobs that are not set up in CruzPay. New functionality has been implemented into CruzPay to automate the export of approved timesheet data for student employees into the Payroll/Personnel System (which generates pay). Previously, this was a manual data entry process. Most of the new functionality is behind-the-scenes, and there are no changes to the way student employees enter time, or the way supervisors approve timesheets. However, you may see some different timesheet exception messages under certain situations, and differences on the Pay Preview screen. For more details, click here. If you have any questions, please contact us at cruzpay_help@ucsc.edu. Generating payment to a student relies on timesheet approval by a supervisor. The criteria for timesheet approval have not changed, nor has the timing. Non-approved timesheets will not be paid in most cases until approval is obtained. Therefore, timely approval is imperative to the student pay process. Approval Definition: Approving the timesheet online signifies the supervisor’s validation that the entries made by the employee are, to the best of the supervisor’s knowledge, a true representation of the employee’s reported hours worked and/or leave taken. The act of electronically approving an employee’s timesheet in the CruzPay system is the same authorization a supervisor would give by signing a printed timesheet. Pay Preview Screen: The Pay Preview screen has been updated to include additional columns (which can be selected for viewing if desired). These include information about the fund/account source payment will be made from, pay rate, and calculations generated by the system. Exception Messages: There are 8 new exception messages. Most of the new exceptions are related to situations where data should not be exported. There are several Do Not Export (DNE) criteria that will stop a student’s timesheet data from exporting to PPS for payment. An alternate method of generating payment will be used as appropriate. CruzPay has been updated with a new pay code to allow employees participating in the Furlough/Salary Reduction Program to report their furlough hours. ​CruzPay Welcomes Student Affairs Staff! Student Affairs staff employees will begin using CruzPay for the September 2008 pay period. Student Affairs staff employees may login to CruzPay to begin reporting hours on September 3, 2008. For the pay period ending August 31, these staff should use their existing Student Affairs portal timesheet submission method. Come on in; we're happy to have you on board! Approximately 2000 student timesheets were submitted and approved by supervisors in CruzPay for the April 24 - May 23 pay period. These timesheet hours were processed by Staff HR timekeepers for payment on the June 6, 2008 payroll cycle. As always, any questions regarding your pay should be directed to Staff HR. Click here to locate your timekeeper. We have completed our phasing work for Electronic Workflow. If you use CruzPay for your time reporting needs, your supervisor should now be approving your timesheet online! ​Cru​zPay goes live in August! On August 23, 2006 approximately 1600 employees will be using the new CruzPay system. For more details, click here​. In August 2006, UCSC began a multi-year implementation of an Enterprise Time and Attendance System known as CruzPay. It is a web-based system that is used for recording time worked and leave used; automating accrual and overtime calculations; and tracking and reporting time and attendance data. Because the system is web-based, it can be accessed from any Windows or Mac workstation, either on- or off-campus. CruzPay has a simple, intuitive user interface to facilitate easy self-service time entry and access to data. Employees enter time worked and/or leave taken on a regular (daily, weekly, or monthly) frequency. Time off balances, such as vacation, sick time, or comp time are current and accessible via the web interface. CruzPay is rolling out to UCSC employees according to a phased implementation plan. Staff employees began using the system in August 2006, followed by Student employees in Spring 2008. Both exempt and non-exempt employees use CruzPay. Exempt employees continue to record leave taken in whole day increments. Non-exempt employees continue to record time worked and leave taken to the nearest quarter hour. Employees enter time and leave directly into the system via a web browser. At month end, employees submit their time records to their supervisor for approval through the system, using CruzPay’s electronic workflow feature. Supervisors review their employees’ timesheets on-line, and indicate their approval (or rejection) through the system as well. Employees or supervisors can continue to print a paper timesheet for their own records, if desired. Employees will continue to be supported by their SHR Service Team or Divisional HR group for time and attendance policies and procedures. CruzPay timesheets will be audited on-line by these offices, who will also continue to report time to generate payroll payments.